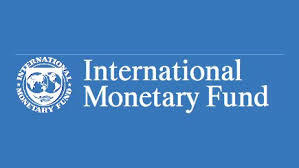 The head of the Managing Director of the International Monetary Fund (IMF) Christine Lagarde has called on Greece’s creditors to restructure the country’s debt. That – along with reform in Athens – would make Greek debt sustainable, said in Washington. Christine Lagarde said a new plan moving forward to shore up Greek finances would require reform in Athens, but it would also require concessions from the country’s creditors. “The other leg is debt restructuring, which we believe is needed in the case of Greece for it to have sustainability,” she said. Tsipras’s speech came as the Greek government formally requested a three-year loan facility from the European Stability Mechanism, the eurozone’s bailout fund for European banks on the brink of collapse. Germany’s conservative Finance Minister Wolfgang Schäuble, has ruled out the possibility of debt relief for Athens, fearing this would set a dangerous precedent for other eurozone member states which receive aid money. On Sunday, Greek voters rejected a proposal put forward by Greece’s international creditors about continuing bailout funds in a referendum. However, that has left Greece on the brink of bankruptcy and possible ejection from the eurozone. Greece now has five more days to reach an agreement with its creditors. Greece has formally applied for a third bailout from the European Stability Mechanism. The announcement has followed Greek PM Tsipras’ address to the EU Parliament, in which he demanded a “viable” solution to the crisis. For the first time since assuming office in January, Greek Prime Minister Alexis Tsipras addressed the European Parliament on Wednesday. Tsipras told the democratically-elected body that Greece demands a “viable” agreement with its neighbours that would signal its exit from the crisis. “This is not a decision of breaking off negotiations…it is a return to the values of democracy,” Tsipras said, referring to Sunday’s referendum, which witnessed a vote of 61 percent against a proposal put forth by Greece’s creditors, namely the European Commission, European Central Bank (ECB), and International Monetary Fund (IMF). Greece formally submitted on Wednesday a request to the European Stability Mechanism (ESM), considered Europe’s bailout fund, for a third bailout. The request comes amid a “final deadline” on Thursday put forth by EU Council President Donald Tusk. The Greek government is expected to provide a detailed proposal after Tuesday’s Eurogroup brought to light a vague outline from Athens. However, at the European Parliament, Tsipras seemed optimistic about a possible deal that, he said, needed to be socially and economically viable for Greece as well as Europe. “We demand an agreement with our neighbours. But one which gives us a sign that we are on a long-lasting basis exiting from the crisis, which will demonstrate that there’s light at the end of the tunnel,” Tsipras said. “I am confident that in the next two or three days, we will be able to meet the obligations in the best interests of Greece and also the eurozone,” Tsipras said. Prior to Tsipras’ address, EU Council President Donald Tusk told the European Parliament that “everyone would lose” if the worst case scenario occurred, referencing the possibility of Greece’s exit from the eurozone. “I have no doubt that this will affect Europe, also in the geopolitical sense,” Tusk said. “We are all responsible for the crisis, and we are all responsible for solving it,” Tusk added. Following Tusk’s statement, EU Commission President Jean-Claude Juncker reiterated the need to strengthen Europe’s Economic and Monetary Union (EMU). “In light of the crisis in Greece, in light of breeches of solidarity that we see across Europe, we have to apply the tenets of a monetary union and its deepening” amid the crisis, Juncker said. European Commission President Jean-Claude Juncker has warned that a detailed “Grexit” scenario has been planned in case no deal is reached with Athens. Greece needs to deliver proposals before the EU summit on Sunday. Juncker said there were now extensive plans on how to cope with Greece’s exit from the eurozone, should Greek premier Alexis Tsipras fail to deliver a viable proposal. The comments came after a meeting of eurozone leaders at which it had been expected that Tsipras would put forward fresh proposals for bailout deal. According to a joint statement of EU leaders, Tsipras must set out Athens’ proposals for a reform agenda in detail by Thursday. “We have a ‘Grexit’ scenario prepared in detail,” warned Juncker, who insisted that, nonetheless, he wanted Athens to stay in the single currency. Tsipras made it clear that the message – that time was of the essence – had been received and understood. The Greek premier has been buoyed by the weekend referendum “no” vote, in which his electorate backed his rejection of creditors most recent cash-for-reforms offer. However, the impatience of his fellow EU leaders has become increasingly palpable. “The process will be swift, it will be speedy, it will begin in the next few hours with the aim of concluding until the end of the week at the latest,” Tsipras said. The referendum saw 61 percent of Greek voters reject the last set of demands for more austerity from the EU and IMF. Tsipras is due to address the European Parliament in Strasbourg on Wednesday, when it is thought he may set out further details of Greece’s proposals that would stave off financial chaos, and a widely-feared exit from the eurozone. Merkel and French President Francois Hollande had on Monday said they expected Greece to come forward with concrete proposals on a way forward in the Tuesday meeting. Italian Prime Minister Matteo Renzi said he believed a definitive deal would be possible on Sunday. “Tonight the decision is that we wait until Sunday for the new proposal to the European institutions by the Greek government,” said Renzi. “The Greek government will, on Thursday at the latest, set out in detail its proposals for a comprehensive and specific agenda,” said Tusk. “Inability to find an agreement may lead to bankruptcy of Greece and insolvency of its banking system,” he added. Meanwhile on Tuesday, European Central Bank (ECB) Chief Mario Draghi assured eurozone leaders that the ECB would do what is necessary to keep Greek banks afloat until the Sunday summit.